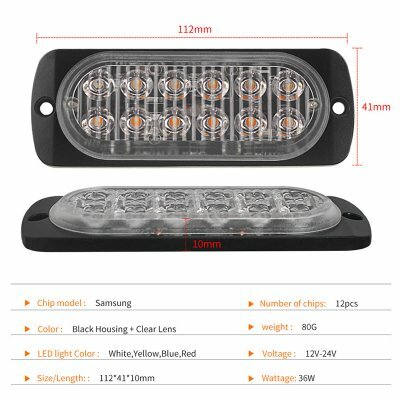 Successfully Added 12V-24V 36W Side Strobe Marker Light 12LED Car Truck Trailer Flash Warning Emergency Clearance Light to your Shopping Cart. -- No pollution, no noise, no electronic interference. -- Low Consumption. Energy-saving. Long Lifespan. 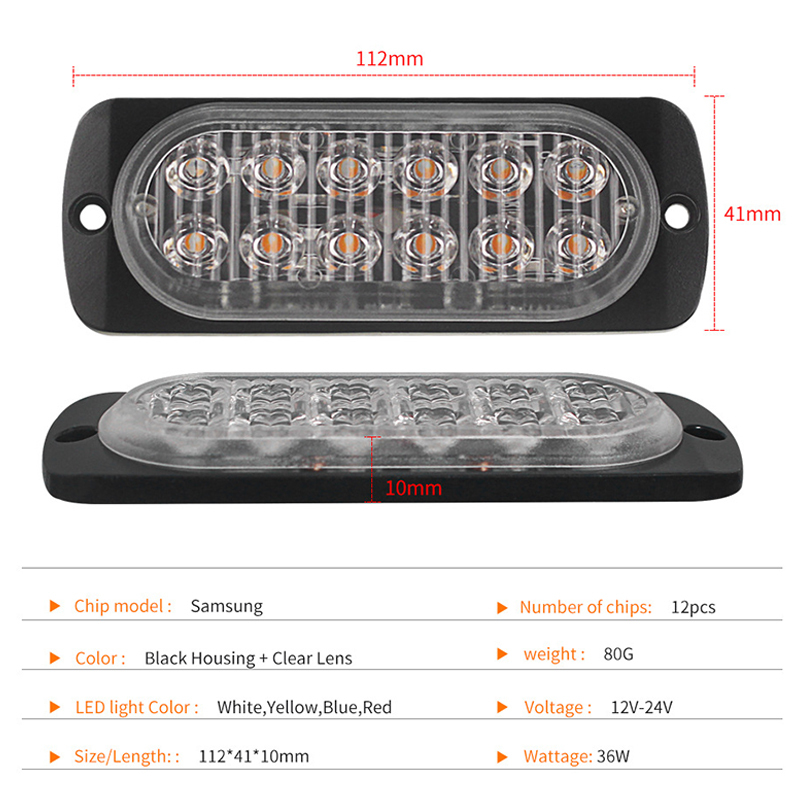 -- Each unit consists of 12 high intensity LEDs with optic lenses. -- Self-contained light head, no external flasher required. -- Optional high and low intensity, compact and light weight, easy to use.